Hire an “experienced” Realtor. Venna, having earned Top Producing Agent status since 2011, brings great value with her “knowledge of the market” including an “array of marketing programs” that are critical components in the successful sale process. As your agent, you can expect her to prepare your home for sale, utilize her marketing skills that zero in on buyers for your home and sell to those buyers needs. She can help negotiate with buyers and their agents the important details and much more. Venna also can offer an established network of home inspectors, home appraisers, mortgage bankers, title companies and has an excellent working relationship with other real estate agents. 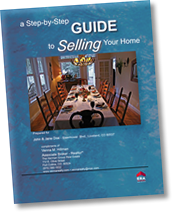 Check out my “Seller’s Guide” section for important information regarding your selling process. And if you’re not sure where you stand in today’s market, click here to request a Comparative Market Analysis (CMA) report on your home’s value. 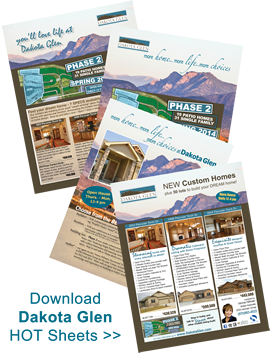 To get first hand information on how I would market your home, please give me a call at 970.590.1832, email me at vennarealty@me.com or complete the Request Marketing Information form below! Marketing your home successfully involves not only identifying the key reasons why your home is the perfect home, but also identifying with buyers that are I the market to buy. With your help in answering a few questions, I will be able to start the process. Please take a minute and help me by answering the following questions. Your feedback is greatly appreciated. If there are any details that aren’t addressed in the questions, feel free to add them. 1. What drew you to this home when you bought it? 2. What is your favorite feature of this house? 3. What do you like about this neighborhood? 4. What are some nearby amenities, such as restaurants or shopping? 6. WHY are you moving? 7. HOW soon do you need to move? 8. Is PRICE or TIMING more important? 9. WHAT are you looking for from your agent? 10. DO you anticipate major challenges in selling your home? 11. WHAT will you do if your home doesn't sell? 12. WHEN was the last time you sold a home?